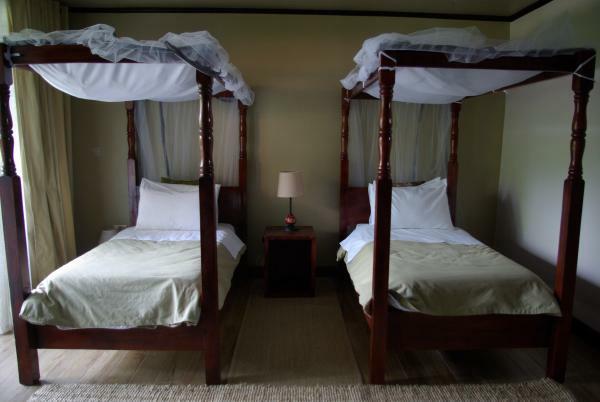 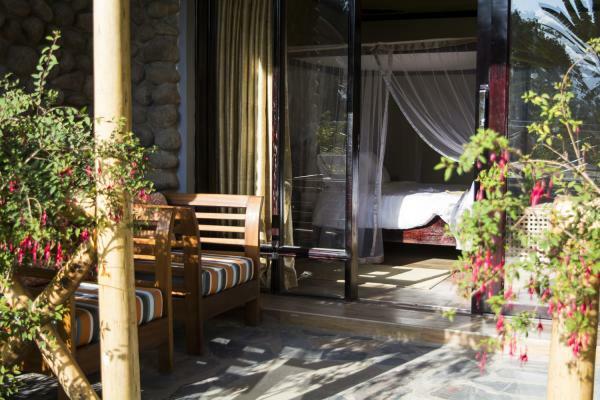 Our Deluxe Twin room has two beds and a bathroom with a double "rain fall" shower. 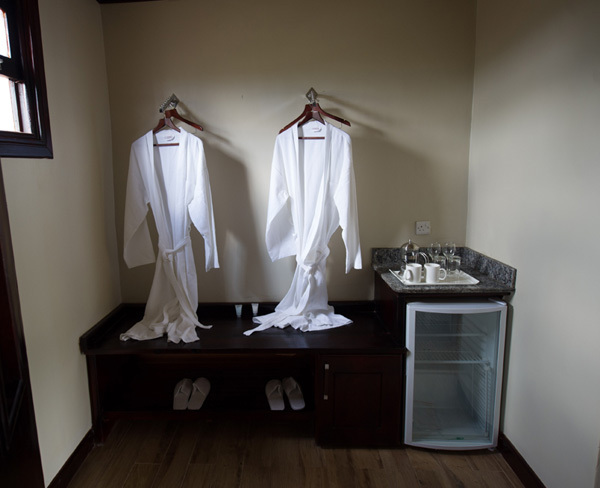 It has additionally a changing room which gives space for the luggage and the mini bar. 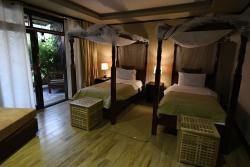 All our Deluxe rooms are equiped with Air Conditioning.